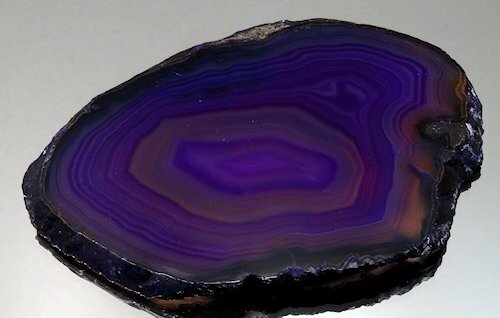 Agate is commonly dyed to make various colored stones. 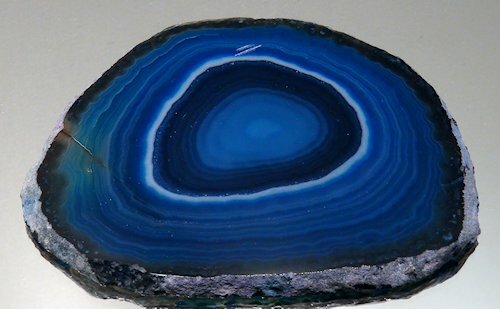 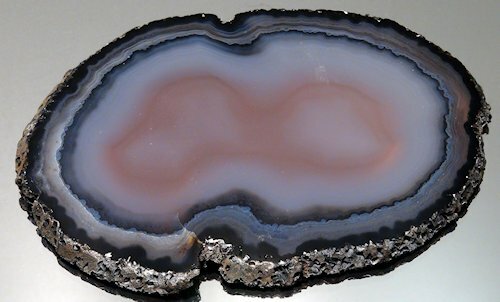 Large geodes are often sawed in quarters and dyed to make attractive book-ends. 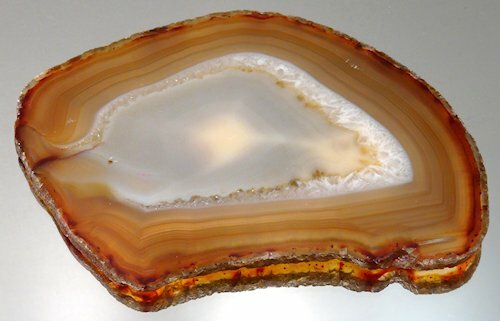 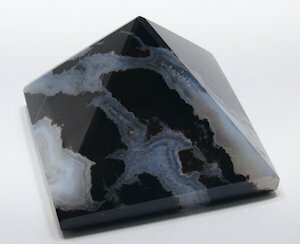 Dyed Agate is a member of the Agate gemstone family. 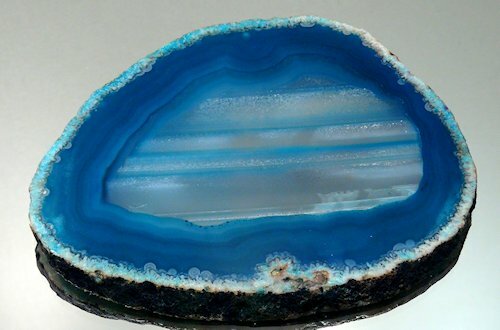 With areas of translucent white.